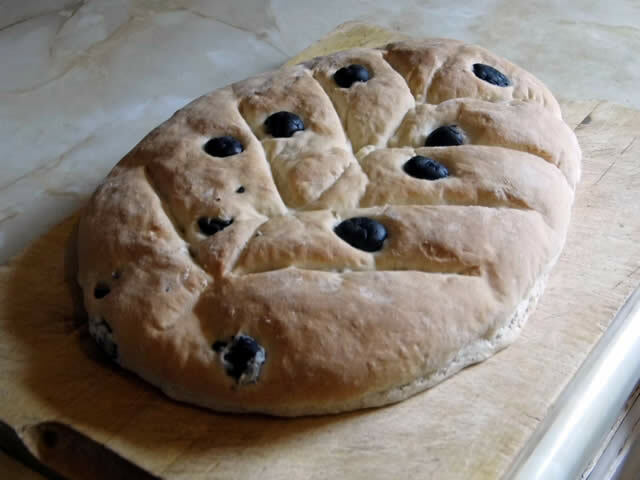 A Provençal Bread with Olives and Herbs. Very easy to make and tastes delicious. olives into the bread. Repeat for the oregano until well dispersed. a few bread rolls or one large loaf. left over whole olives on top. minutes, or until golden brown. if you wish or leave it plain. 8 Leave to cool and consume with some cheese and wine, gorgeous. This bread is very yummy. Let me know if you like it.